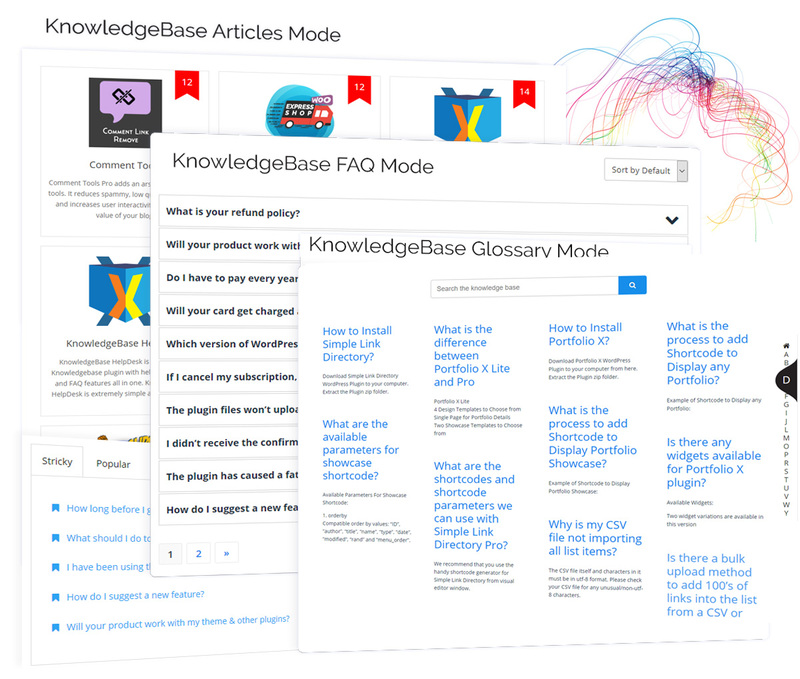 KnowledgeBase X is an advanced WordPress KnowledgeBase plugin with FAQ, Glossary and AI powered ChatBot HelpDesk features all in one. Create a feature-rich Knowledgebase on your website. Display in Standard KnowledgeBase mode or in FAQ mode or as a unique alphabetical Glossary style. Create unlimited Knowledge Base articles and classify them into categories. The Knowledgebase will display all your categories and users can browse by categories. Supports sticky articles. The Knowledge Base articles you create can also be used in an Alphabetical Glossary format without any extra effort. Simply define a term for each KnowledgeBase articles and use the glossary shortcode. Powerful live search bar that starts showing article results as the user types search term. Enable an AI powered ChatBot to act as your HelpDesk or Support Desk. 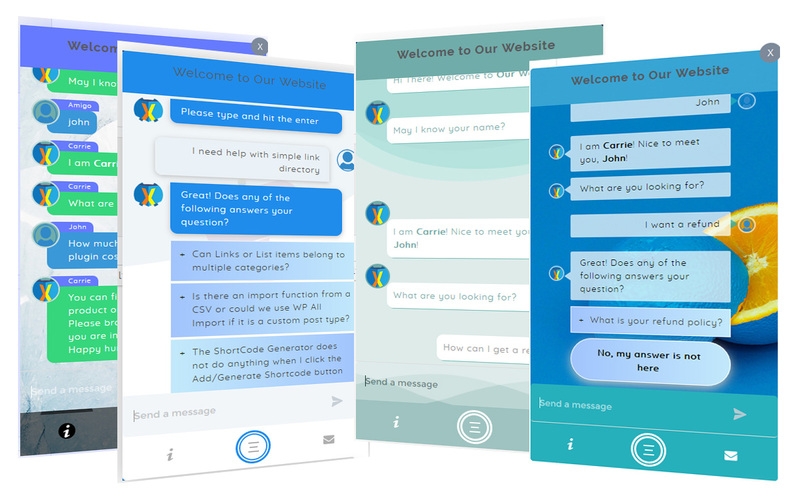 Your website users can converse with the ChatBot, ask questions and get answers that make sense. The HelpDesk ChatBot is integrated with the Google’s DialogFlow. So, you can train the ChatBot to answer any questions easily and quickly. 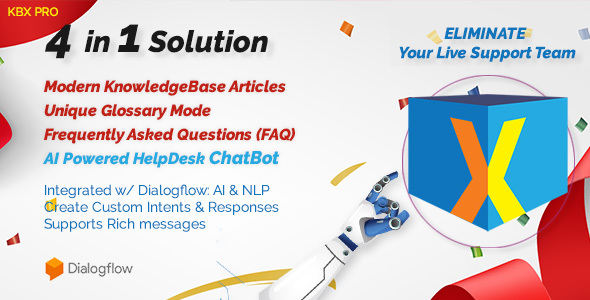 Analyze the user queries from the DialogFlow history and make the ChatBot better over time. As the ChatBot gets better it will start cutting down on your Live support requirements and eventually, you can almost eliminate the live support altogether.